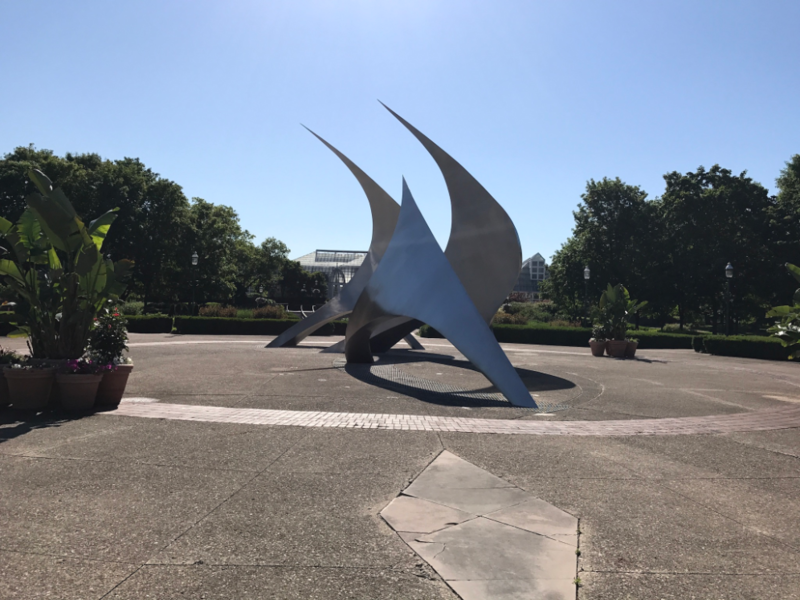 Three enormous 30-feet high shining sails that glitter in the sun. 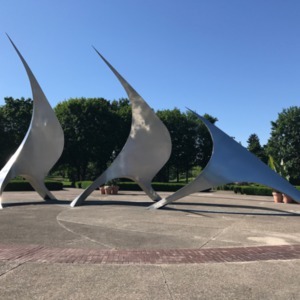 The largest is pointed to the north star. 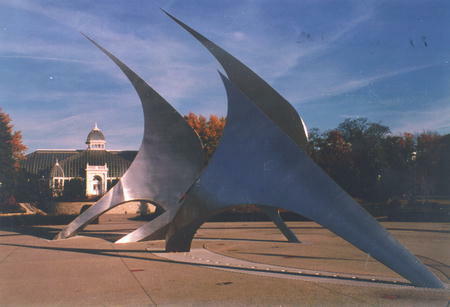 The sculpture is located in a large circle of paving stones, adding to its dramatic effect, with the historic Franklin Park Conservatory building gleaming in the background. 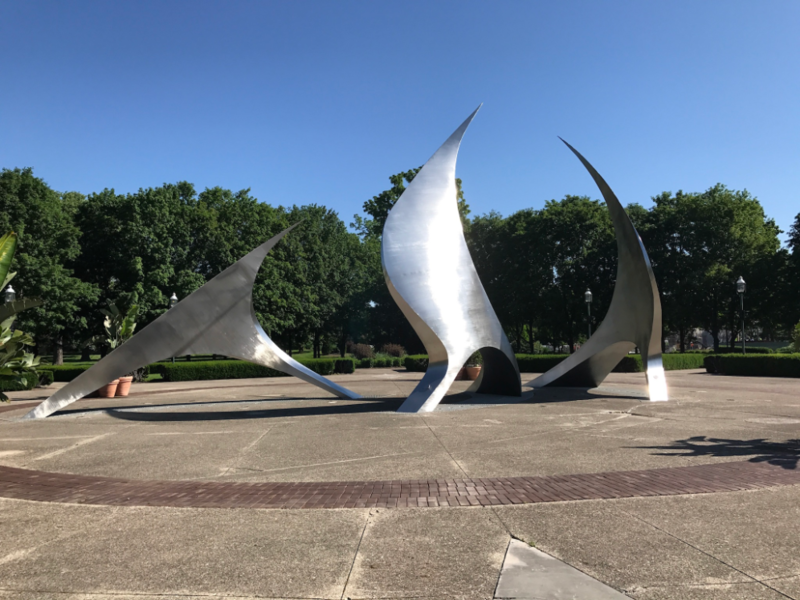 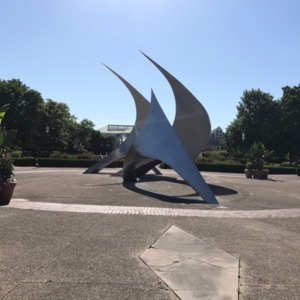 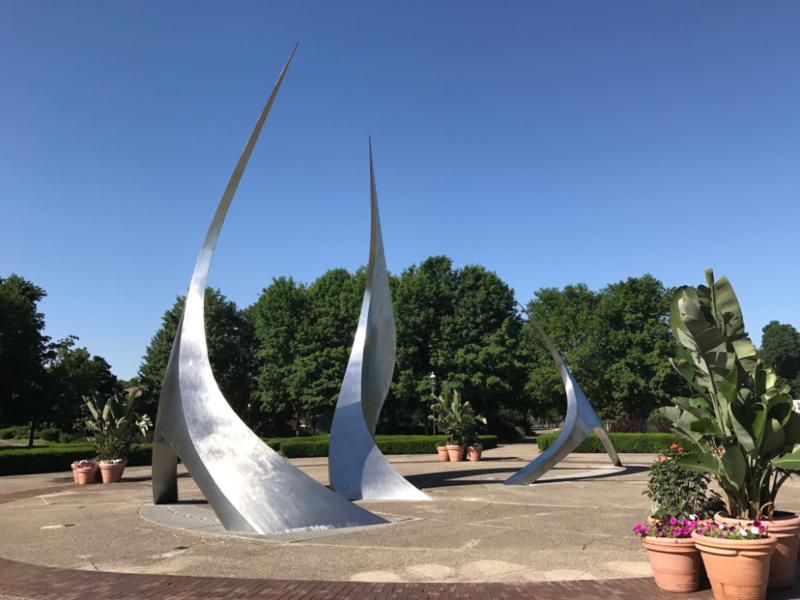 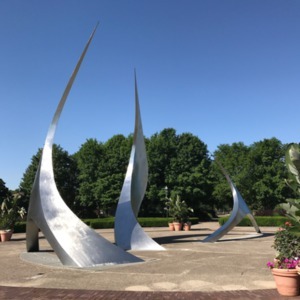 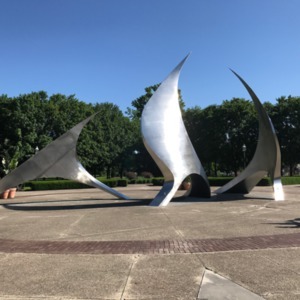 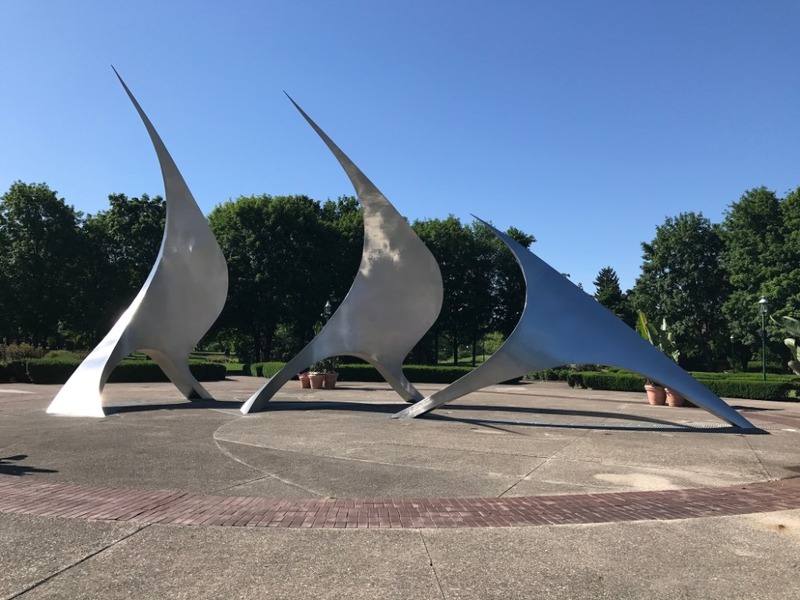 : Stephen Canneto, “Navstar '92,” Ohio Outdoor Sculpture Inventory, accessed April 22, 2019, http://oosi.sculpturecenter.org/items/show/641.